On this day in 1952, the Duke of Windsor was aboard the R.M.S. Queen Mary on his way to England to attend his brother's funeral. King George VI died February 6. 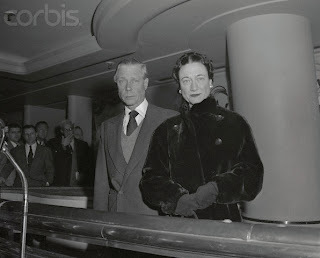 The duke is pictured here with his wife, the former Wallis Simpson, before she departed the ship.